Obviously, Southeast Asia is not the best place to learn more about Spanish history. It’s just common sense that the place for that is a trip to Spain itself. However, if you’re already in the region, why not take it as an opportunity for an additional history lesson regarding the former Spanish Empire? And by that, we mean making a side trip to the Philippines. While most people associate former Spanish colonies with current South American countries, the Philippines also played a vital role. After all, it was Spain’s former gateway to the Orient; it served a crucial role in the Galleon Trade that included Mexico. One of the most important stops in the trade was the city of Vigan in Ilocos Sur, which in turn was heavily influenced by Spanish culture. Hence, here are some reasons why you should book a hotel in Vigan for a taste of Europe in Southeast Asia—a taste that’s infused with some Filipino flavor. One of the biggest Spanish influences on Vigan can be seen in its architecture. This city, a declared UNESCO World Heritage Site, is considered “the best preserved example of a planned Spanish colonial town in Asia.” In fact, the traditional Hispanic checkerboard street plan can still be seen in its current layout, with two plazas surrounded by the city’s most important structures—the church and government buildings. That said, many buildings in the area also have Asian influences, from the use of capiz shells in windows (instead of glass) to pitched roofing (a Chinese influence). 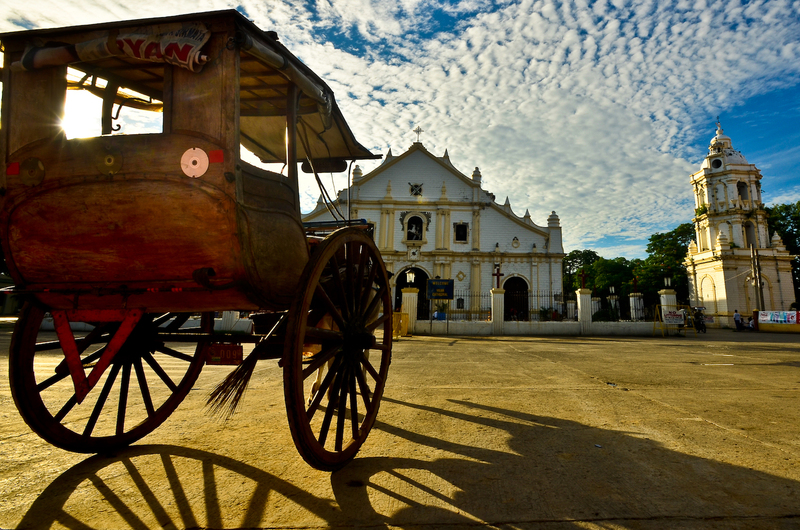 Hence, in a way, Vigan is not only well-preserved; it also highlights a fine fusion of East and West in its architecture. To see these buildings, simply take a stroll down Calle Crisologo, the city’s main road. Many of the best-preserved houses are situated here, with some even being converted into museums, restaurants, and souvenir shops. Another major Spanish influence in the Philippines is the cultivation of tobacco, which is still considered as one of the country’s major cash crops. Bought to the country by the Augustinians in the 16th century, this plant is grown extensively in the Ilocos Region, one of the centers of the Spanish-era tobacco monopoly. The leaves were then either consumed locally or sold through the Galleon Trade. That monopoly helped transform the Philippines into a self-sustaining Spanish colony. Previously, maintaining the colony was a huge drain on the empire’s resources. Meanwhile, the tobacco-growing tradition continues to this day, with a portion of leaves grown in the Philippines being exported to various countries worldwide. Hand-rolled cigars—sold in packs of three—are still sold in Vigan and make for popular souvenirs. Abel Iloko, or more properly called inabel, are traditional woven fabrics made in Ilocos. Made of cotton, these fabrics were exchanged by the locals for gold, even before the Spanish arrived. So if this kind of cloth doesn’t originate in Spain, why is it on the list? Well, when the Spanish arrived, they discovered how durable this fabric is. As such, they started using inabel for the sails of their galleons and even included it in their taxes. It was valued so highly, on par with Belgian linen, that some accounts claim it almost put the Spanish textile industry in peril. Today, the locals still carry on the craft; travelers can actually take home their own inabel items as souvenirs. These are mostly made into household items such as blankets, table runners, placemats, and even hand towels. The finest quality abel iloko products can be bought from the Vigan Public Market at great prices—much affordable than those offered at Calle Crisologo. 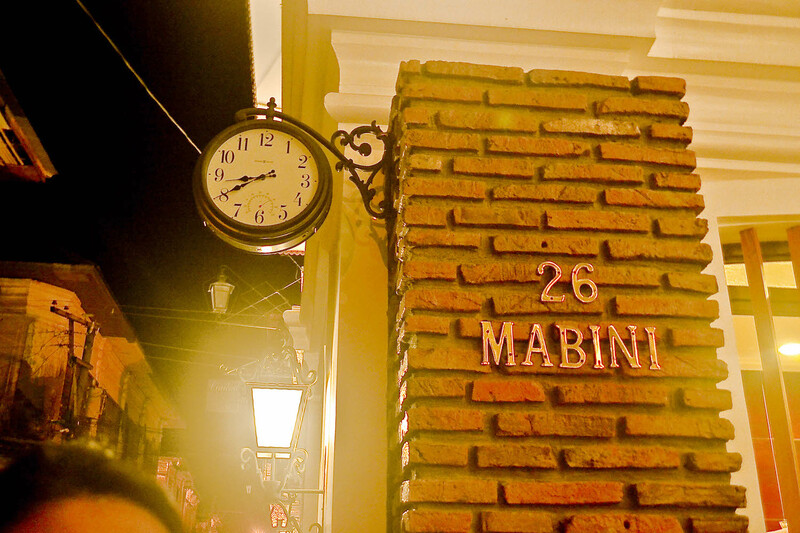 These three influences are just some of the many reasons why you should consider visiting Vigan. So if you’re in the Philippines, make sure to spare some time for it!